The team with Justice Lee Seiu Kin, Chief Justice Sundaresh Menon and Minister for Foreign Affairs and Minister-in-charge of the Smart Nation initiative, Dr Vivian Balakrishnan. SINGAPORE, 6 April 2018- Asia Law Network is proud to be a participant at TechLaw.Fest 2018. 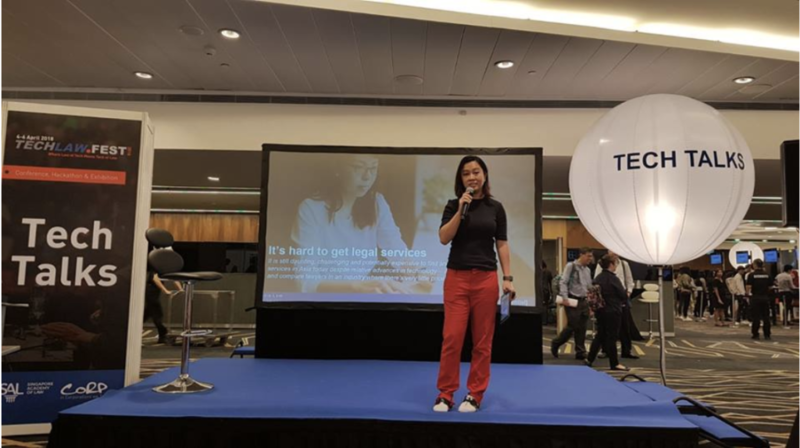 Nearly 500 industry players were gathered at TechLaw.Fest 2018 to address the challenges from technological disruption in legal services.